On a ride in the country on Friday we unexpectedly came across this wonderful covered bridge. It’s the Johnston Covered Bridge in Clearport, Ohio. 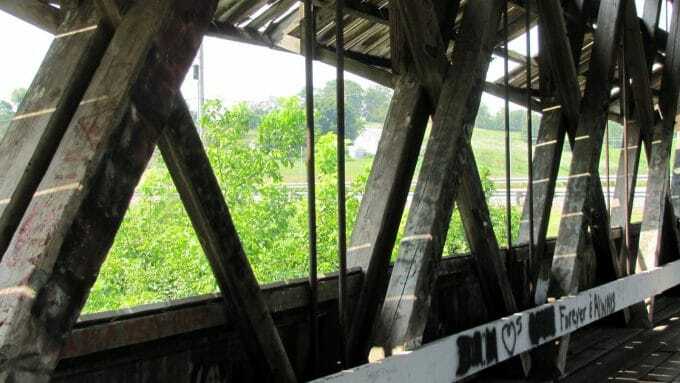 It was built in 1887 and has a span of 99 feet across the Clear Creek River. It was restored in 1996 and is in its original location. You can’t drive across it anymore, but you can walk through it. 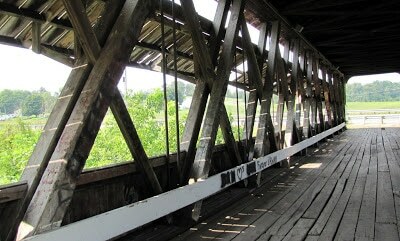 It used Howe truss style construction which incorporates vertical metal rods into the structure (thank you Wikipedia). Unbeknownst to me, Ohio has the second largest number of original covered bridges (Pennsylvania has the most). And Fairfield County, Ohio has the most covered bridges in the state of Ohio. Also unbeknownst to me, Blogger’s spellchecker doesn’t recongize the word unbeknownst. 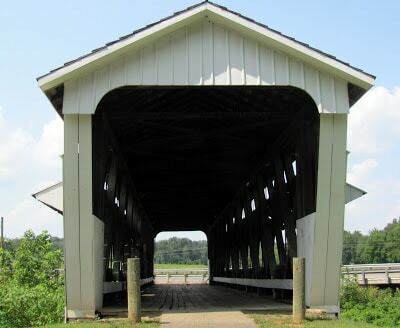 Although it is a little drive from here, I might have to do a tour of Fairfield County covered bridges soon. Maybe I’ll have a Bridges of Madison County moment (just kidding, honey)! I am linking with Little Red House’s Mosaic Monday. Oh my, just loved these pics. Would love to have one framed and hung in my hallway. I love the covered bridges!! We have seen a few on a trip to New England a couple of years ago. Hope you entered your mosaic in Mosaic Monday. It’s great!! I’m a Texas gal and we don’t have covered bridges. I think they are beautiful. Great pictures. I just love these old bridges. we come across them now and then and I am never disappointed. Love those kinds of bridges! Thanks also for joining the fun at Dreaming. Love new followers AND readers. Love those pics! Definitely reminded me of Bridges of Madison County. Covered bridges seem like such romantic places! I love covered bridges! You have some gorgeous photos. Breathtaking! Hi, great covered bridges! Loved your mosaic! We have one here not that far from where I live and it’s so gorgeous! Hope you have a wonderful new week! Cindy @ Chalk it Up! They are treasures, aren’t they? 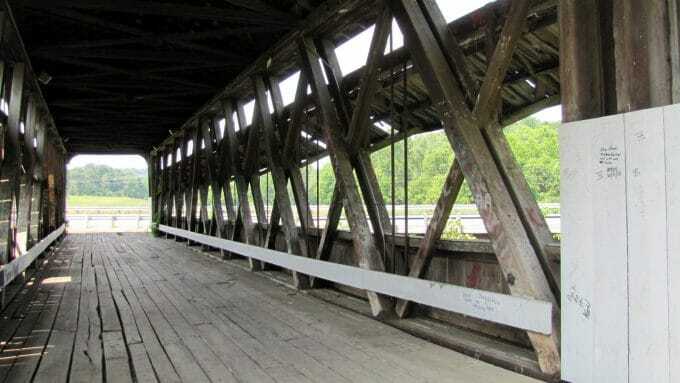 Most of our covered bridges are in the Maritimes – many of them in New Brunswick. 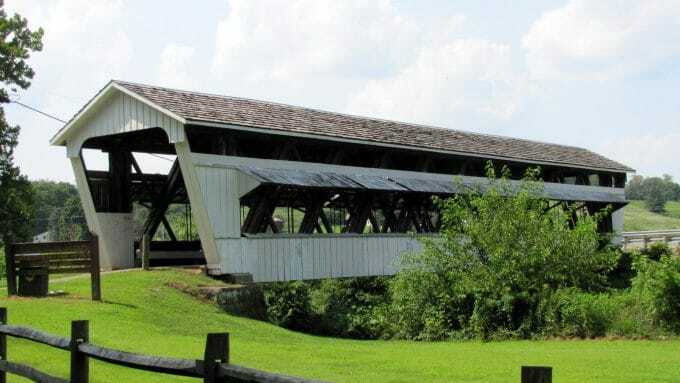 I love covered bridges, they just have so much personality. . .We don’t have many here in the west, so it’s always fun to see pictures of them! Great pictures of the bridge, I do not think we have any covered bridges left in Ontario. Which is a shame, they all full of history. Take care and have a great week. Love these pictures, especially the second one looking through the bridge. So interesting to look at a historical structure. Thanks for sharing your covered bridge. 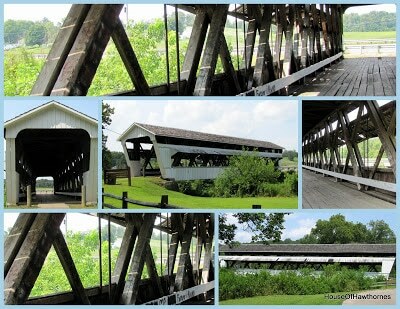 Oh… I just love covered bridges they are so charming! Your photos look great!